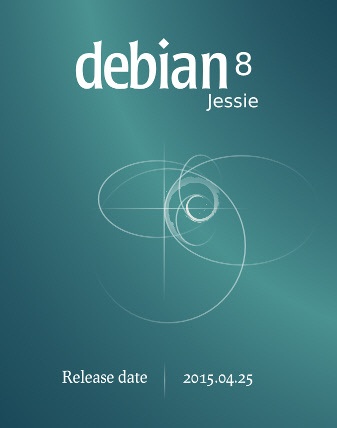 Debian 8 codenamed jessie is now available for download.which will be supported for the next 5 years. Ships with several desktop applications and environments GNOME 3.14, KDE 4.11, Xfce 4.10, and LXDE. Abiword is upgraded to 3.0.
legacy secure sockets layer protocol SSLv3 has been disabled. OpenJDK 7 is the new supported default Java runtime. OpenJDK 8 will be available from jessie-backports. Tomcat 7 and Tomcat 8 are supported and Tomcat 6 was removed. New developer tools including VisualVM, the Dynamic Code Evolution VM (openjdk-7-jre-dcevm), Gradle, eclipse-wtp-webtools, closure-compiler and more.